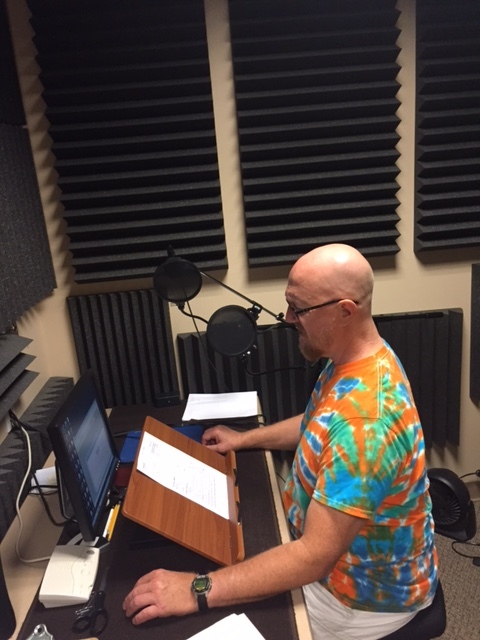 Image of one of our readers in the recording studio. What do you do when neither large print nor braille work for your visually impaired audience? Unfortunately, a large number of blind and low vision Americans do not read braille. For them, no form of printed material works. In this instance, Horizons has the solution. Our audio staff certifies that the output adheres to the highest standards. We ensure the same level of quality as in our printed transcription services. The final product is available in a variety of formats, including audio CD, MP3, and direct transmission. Horizons Audio Unit is not limited to business correspondence. We have recorded user guides, manuals, newsletters, magazines and even books. We maintain an extensive backup of all recorded items, so we are able to reproduce needed recordings upon request. For specific information and applicable pricing contact us at 815 444 8800.